It’s official: The RETROvan is leak-free! It’s been raining cats and dogs all day with no drips or puddles inside. The dehumidifier had extracted about 18 ounces of water so I emptied it. But that means it’s doing its job. Between that little godsend and the space heater, the inside of the hull is bone dry. And that means no mold, mildew or ruined equipment. (Knock on wood!) But best of all, the RETROvan is actually starting to feel cozy, and I’ve noticed sound doesn’t echo as much. So today I managed to cut and install two inches of insulation behind panels D0, D1, D2 and P2. That’s as much for soundproofing as it is for thermal efficiency. D0 is the thin vertical pillar just behind the driver side window. That cavity had three horizontal sections with deep recesses. So I simply cut two pieces for each section and fed them in like batteries. That should help keep the pilot seat warm, and reduce any noise transmission, radioactivity, toxic gases, etc. D1 is the wall panel behind the refrigerator and the cabinets that will contain the dual ovens and pantry. 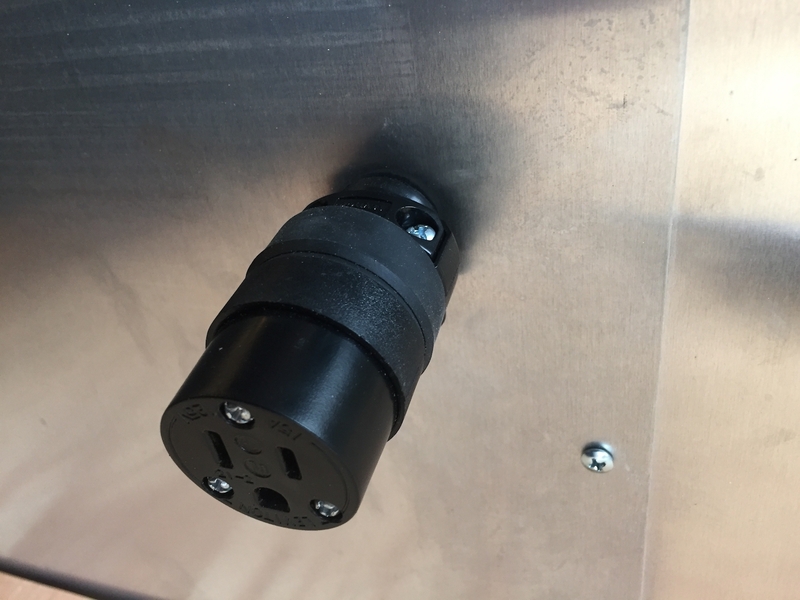 For that one, I drilled three 3/4″ holes and inserted rubber grommets. Then I installed the insulation in two easy-to-cut sections and ran the flat triplex cable through the grommets and out the wall panel. And finally, I reinstalled the dedicated Leviton outlet to the cable. That outlet is strategically positioned to plug the refrigerator into and leave running on its own circuit. 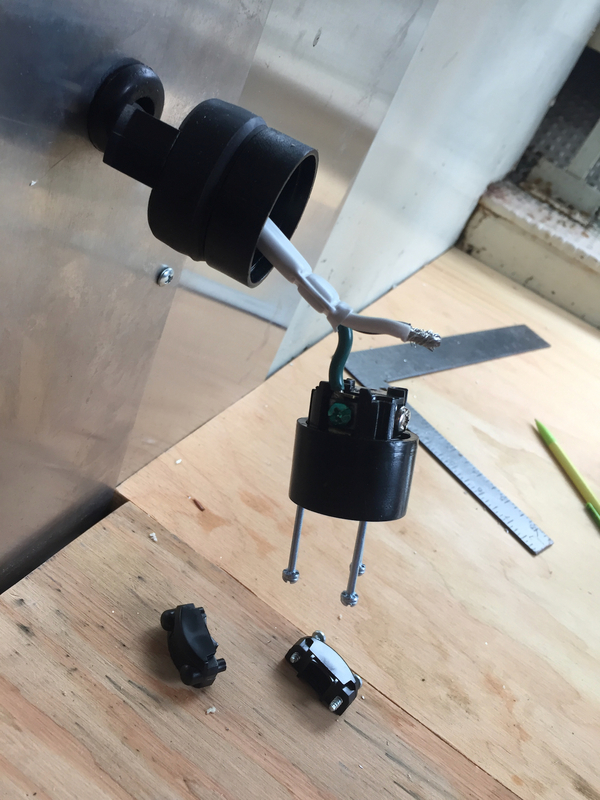 There’s enough slack for the outlet to be pulled out a few inches if necessary. D2 is the wall panel where the galley sink’s wall-mount faucet, drain, and medicine cabinet is. For that one, I just installed the insulation and zipped it back up because I’m not ready to start the plumbing yet. P2 is the panel next to the passenger seat. It has the medical cabinet, two grab bars, and the wall-mounted weather station. For that, I snipped my homemade 5V cable jack and ran it through that cavity and out a 1/2″ rubber grommet that is hidden behind the gadget. Looks great! I’ll reconnect it tomorrow when I have daylight. 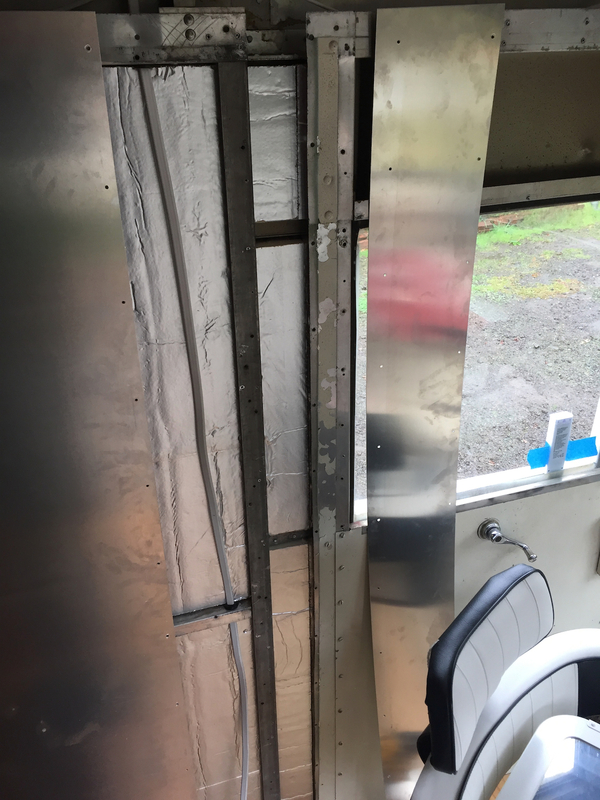 I wasn’t planning to start the wall insulation phase from this direction, but it worked out better because it’s raining and I don’t have anyone home to help remove windows. That, and because of the way the wall panels overlap, you have to do them in logical order. Only nine more wall cavities to insulate before starting on the upper corners. And boy, am I tired of cutting that foam on the garage floor!